Neopia Central is a very curious city. There is no ruler, no one to set the rules or guide the people. 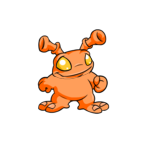 So, with the lack of any available Neopet, chaos rules.